Washington – Connecticut officials have joined a pushback against a Trump administration plan to allow unrelated employers to band together so they can provide their employees affordable — but perhaps limited — health care, while others in the state are celebrating the move. The plan, proposed by President Donald Trump in October, is being implemented by Labor Secretary Alexander Acosta, who is in the process of issuing a rule that would allow employers to join together to form an association health plan, or AHP, if they share a common industry or geographic area. The Trump administration hopes it will provide small employers flexibility to offer cheaper coverage to to their workers, while cutting the red tape that has discouraged these small businesses from forming association health plans in the past. The Labor Department has allowed for the public to comment on the plan for 60 days, ending March 6, and will issue a final rule after that. The more than 100 comments trend against changing the rules, although a number of business associations and people who work as individual contractors – including Realtors – said they are enthusiastic about the proposed changes. There are several concerns about easing the rules for association health plans, of which there are about 600 across the country today. 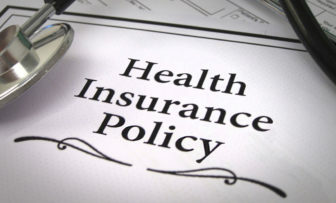 One concern, shared by state insurance commissioners like Connecticut’s Katharine Wade, is that plans may cross state lines and not be subject to state regulation, which includes making sure an associated health plan remains solvent and can pay all its claims. Wade also is concerned that state consumer safeguards are not weakened. Critics of the plans also say they will not offer as much coverage as the Affordable Care Act mandates and that the expansion of association health plans will undermine the ACA’s state marketplaces, resulting in higher premiums for those who purchase their insurance there. “They have had a checkered history,” said Rep. Joe Courtney, D-2nd District, of the plans. In its public comments, the American Academy of Actuaries said the new association plans could rate individuals by occupation and gender, which the ACA does not allow, and by age, which the ACA limits. AHPs would be prohibited from denying coverage to people with pre-existing conditions. But some worry they would end up without the care they need because of limitations on coverage. coverage for vital medications and treatments – could still occur,” the foundation told the Labor Department. Courtney, a member of the House Education and the Workforce Committee, joined a number of lawmakers who recently wrote to Acosta about his proposed changes to the rules governing association health plans. The National Federation of Independent Businesses wrote the Labor Department that it supports Acosta’s proposal, although a full repeal of Obamacare would be better. “Repeal of the scheme established by the Patient Protection and Affordable Care Act … and its replacement by patient-centered, market-based healthcare remains essential,” the federation said, but it also said it appreciates the Labor Department’s efforts to “reduce the damage'” while the ACA remains in force. The nation’s Realtors also support the expansion of association health plans. Mary Ann Hebert, a director and past president of the Connecticut Association of Realtors, said the state’s real estate agents are independent contractors who often struggle to find affordable health insurance. Hebert said the National Association of Realtors, which has more than 1 million members, could establish a national plan. But Acosta’s rules also would allow state and regional association plans.